ashara morris of harmony’s heart farms in elizabeth, CO returns for our ever popular reconnection retreat. see ashara at http://www.hamonysheartanimals.com. how would you like a weekend in the country? 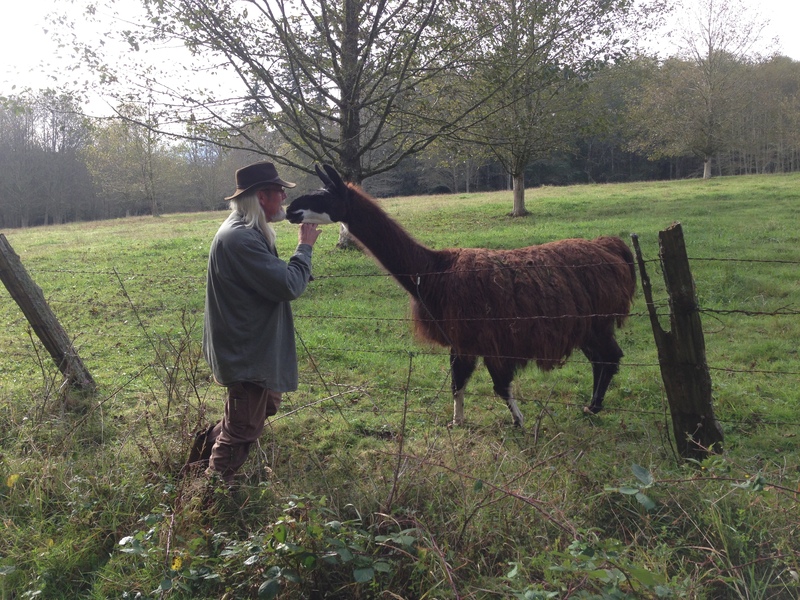 the opportunity to reconnect with nature, the animals and yourself? become open to the energy all around us, finding the connection with all living things. come out and work with EGCM coaches Lisa Aniballi and Ashara Morris to let go of what gets in the way of having a closer connection. 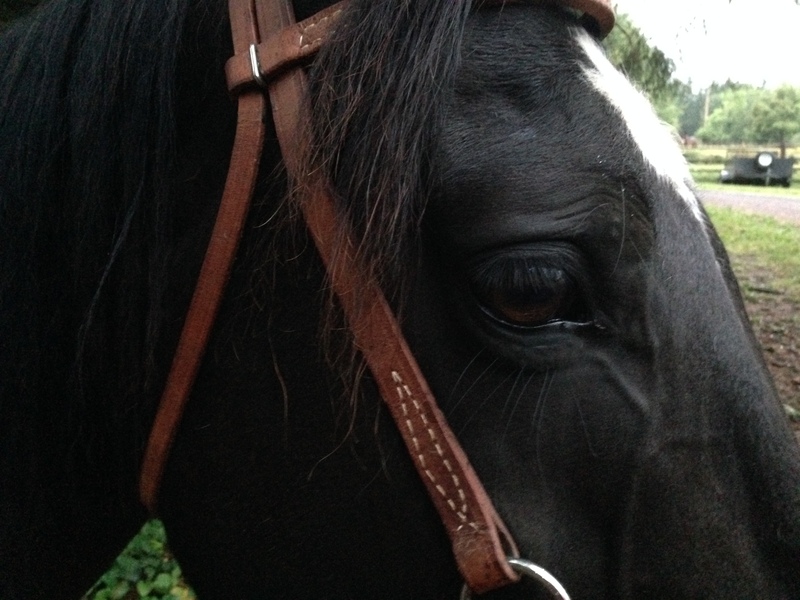 spend a weekend at the beautiful Leland Valley Farm, with Sweet and Ben, foundation healing horses. Or spring in CO at Harmony’s Heart Farm with Wilma, Zimi and Lily! your deposit of $225 holds your spot. weekend cost is $445 with an early registration discount of only $395. Brenda and Lisa, both Equine Gestalt Coaching Practitioners, started their adventures in Montana and Canada over the past last couple of years. They love their spontaneous adventures, jumping into the nearest creek, lake or river, riding, kayaking, hiking, and general exploring with sheer delight and random moments of spontaneous FUN! 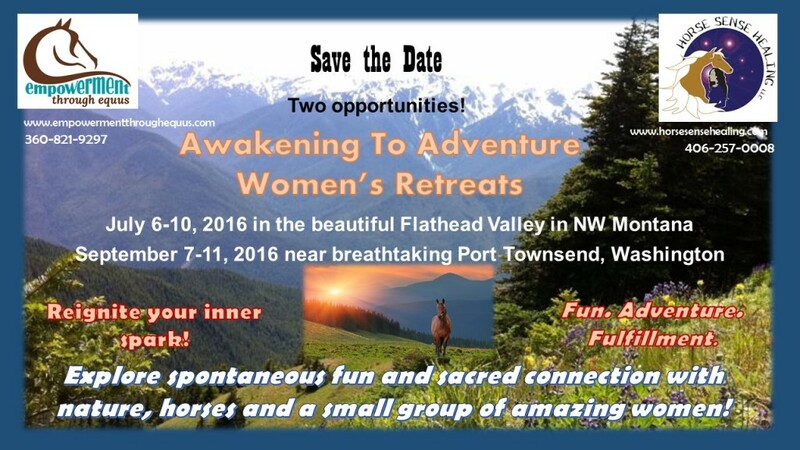 They knew this was too good to keep to themselves so they decided to create Awakening to Adventure Women’s Retreats. This where you come in…. Only 10 adventurous women will get to experience these retreats! Come to one or both and experience the contrast within and out. Experience horses, healing, stretching, growing, rafting, kayaking, hiking, spontaneous fun and more with Lisa and Brenda! Let your inner adventurer loose! Awaken your inner spirit of adventure as we journey through sacred natural areas. Open to an expanded version of yourself in an expansive landscape. Join a group of like-minded women in exploration of the outer and the inner landscape. The Northwest is the perfect backdrop to explore spontaneous fun and sacred connection with nature, horses, each other and unlimited possibilities. A new you in a new land. Your inner spark reignited and forever changed. Are you ready? Ready to step outside those lines of your busy life? Are you ready to experience soul-filling adventure? Discover your true potential? Let go of limiting beliefs? Follow new nudges and inspirations? Why settle for the comfort of the known, instead of the unfurling of the unknown? Listen to your desire. Let go of the same old routine! During these unique retreats your horse and human coaches will assist you to discover your reservoir of strength and genius, and release fear and perceived limitations! You will have opportunity to unplug and unwind from your busy life and play, reflect, and connect to the delightfully adventurous you…. 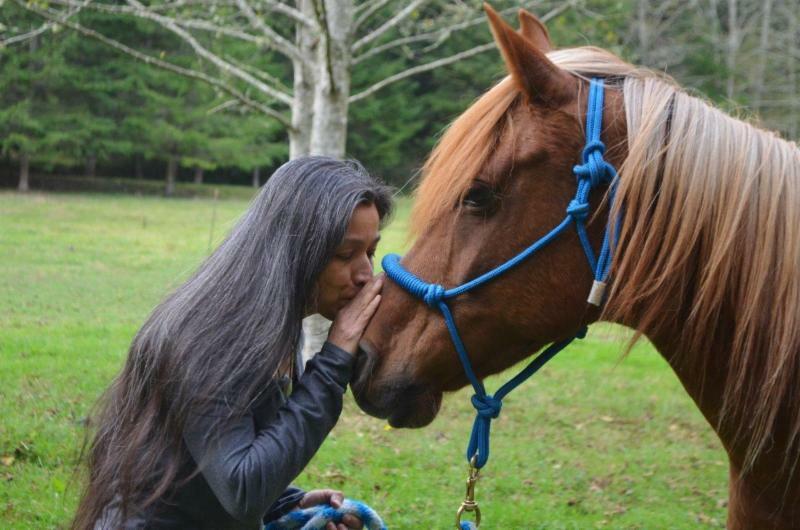 Join Lisa, Brenda and the healing horses for two amazing opportunities! 4 1/2 days of fun, adventure, self-discovery and connection with horses and nature. Attend one retreat or for a full-on experience of adventure, healing and exploration of contrast inside and out join us for both retreats! Price includes lodging, activities, meals, and powerful Equine Gestalt Coaching by Lisa, Brenda and the healing horses! Summer 2018 in the beautiful Fl athead Valley in Northwest Montana. 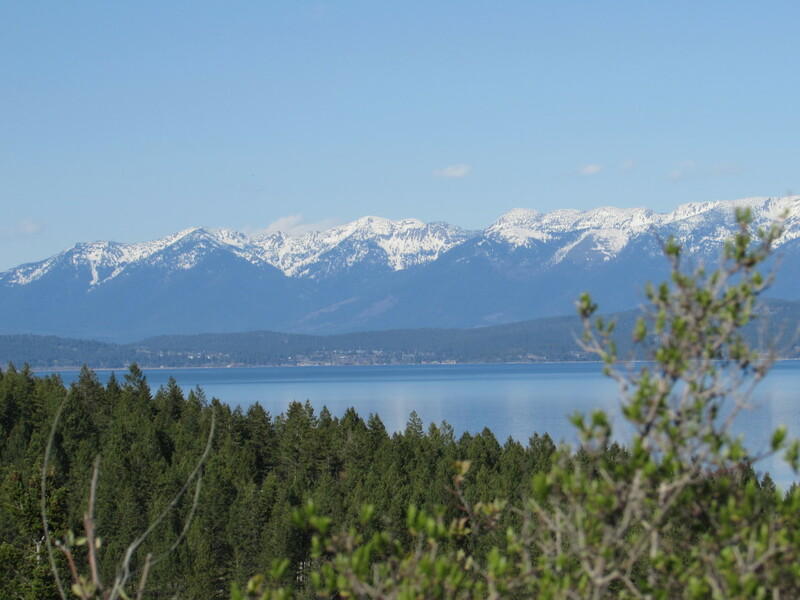 Your unique, transformational adventure begins in the beautiful Flathead Valley – which is bordered by Glacier National Park and home to the largest fresh water lake west of the Mississippi, Flathead Lake in NW Montana. 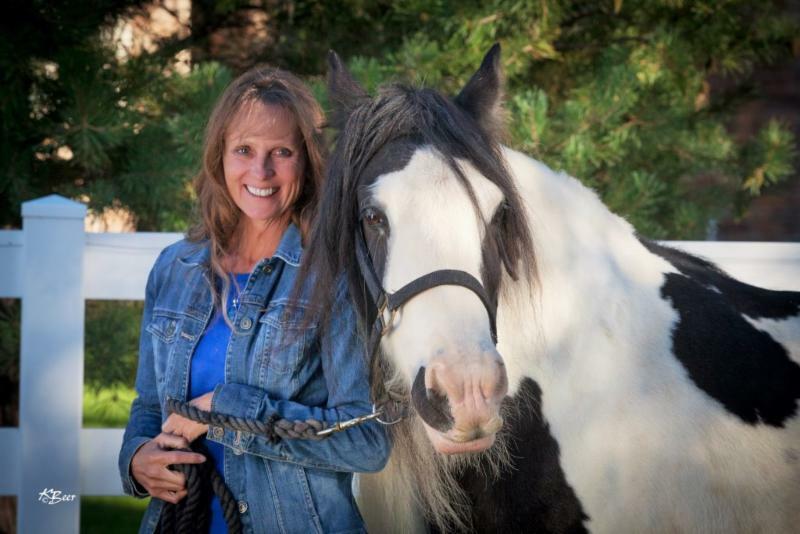 Join the horses, Lisa and Brenda for 4 1/2 days of stepping outside the routine of your busy life! Breathe in clean mountain air, splash in sparkling clear water and wake up to the peaceful sounds of nature. After a healthy breakfast we will set out for our adventure of the day! Each morning we will start our day with the healing horses at the peaceful Greater Good Ranch. In the afternoon it’s off to an adventure where we will experience a variety of limit stretching experiences, including rafting the Flathead River, a sunset trail ride and dinner, exploring the American Indian petroglyphs, hiking and more! 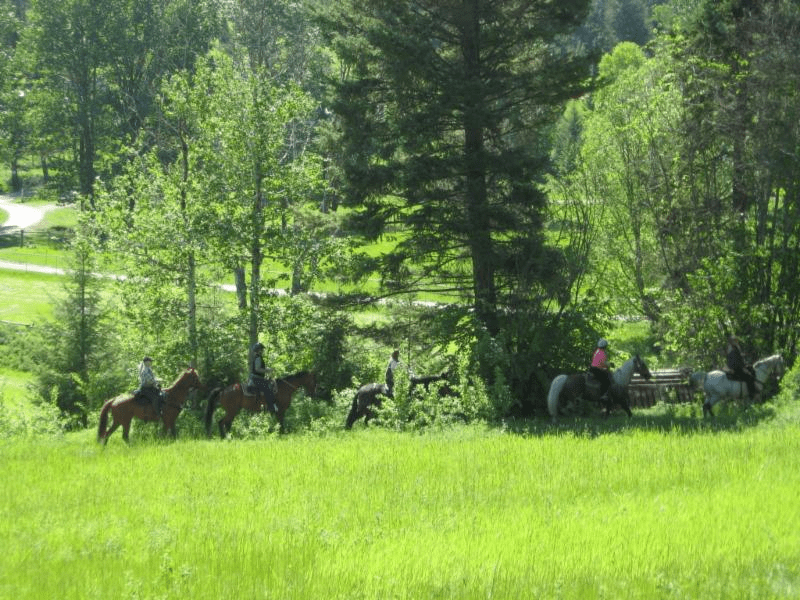 Lodging and our dinner trail ride will be near Kila, MT at the cozyLonesome Do ve Ranch. Each night we will share our self discoveries from the adventures of the day while gathered around a campfire next to the trail horses. Schedule extra time before or after our retreat and experience the beautiful Flathead Valley, Glacier National Park and amazingly clear lakes, rivers and streams! We have so many things to do here! Visit early and take in the many activities and celebrations for the 4th of July! Check out the Flathead Convention & Visitor’s Bureau. Fly into Glacier International Airport or arrive in Whitefish, MT via Amtrak. Transportation to all adventures is provided. Fall 2018 on the breathtaking Olympic Peninsula, near Port Townsend. As you land in Seattle, your adventure begins, relax and enjoy the breathtaking views as we do the driving. And then 4 1/2 days staying at the beautiful Lake Leland House, coaching with the horses each morning, and off for an afternoon adventure. We will hike in the Olympic National Forest, kayak the Dosewallips Tidelands to the Duckabush River, and row and sail the Salish Sea near Port Townsend. Dinner will be by the fire on the shore of Lake Leland and shared stories from the day under the stars. Lodging at Lake Leland House and Sunrise Cottage Leland Lake House Website on the shore of the beautiful Lake Leland. Meals will include a continental breakfast, and a few special extras like fresh farm eggs, everything to pack a hearty lunch including snacks. Fresh healthy meals, including Northwest Seafood. One dinner in Port Townsend not included. Coaching with 4 of th e best, Ben and Sweet, Lisa and Brenda at the beautiful Leland Valley Farm! Additional 4-legged coaches include, Stedman the miniature horse, Tigger the mule, Libby the beautiful Palomino and more. 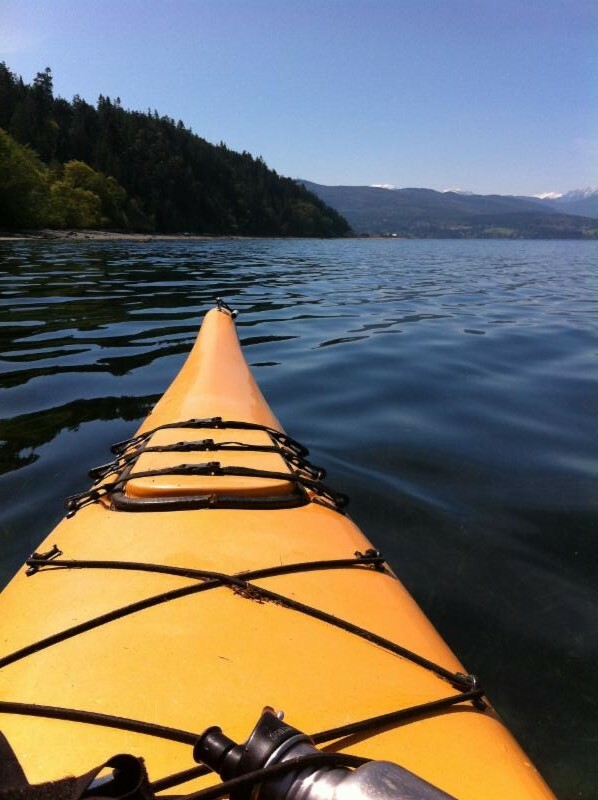 A 3-4 hour kayak tour in the salt water of the Hood Canal and up into the Duckabush River, often accompanied by eagles and harbor seals, exploring rocky coves filled with sea stars, all the while exploring inter-tidal marine life. We will stop on a local beach for lunch and to shuck an oyster. All led by a local fisheries biologist. 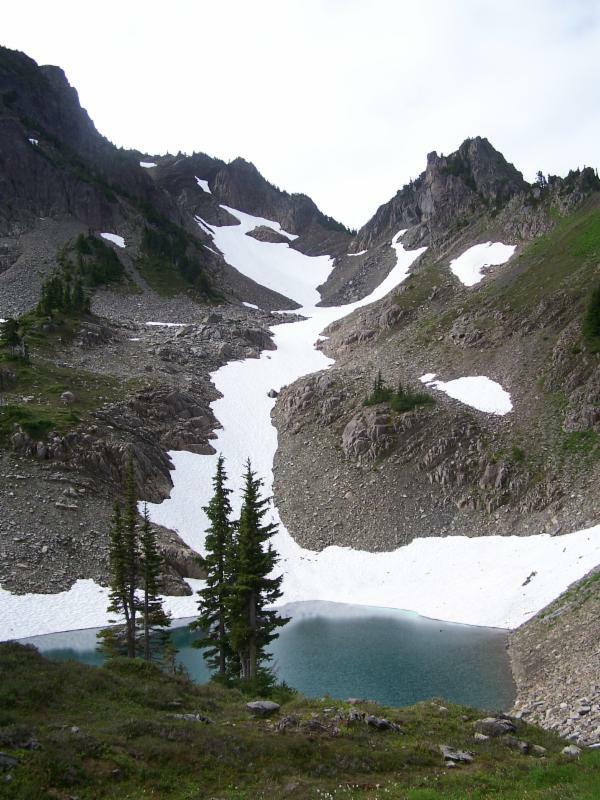 Hiking in Olympic National Park and Forest among ancient trees, valleys, waterfalls and glacial fed rivers. The wildlife is abundant, with 20 plants and animals found nowhere else on earth! Lisa has 14 years experience leading hikes on the peninsula. An afternoon on the Townsend, a 26 foot long wooden boat, rowing and sailing. As the NWMaritime Center says… The sea is the most powerful teacher we know. Transportation to all adventures is included. We will be available for one airport pick up. If you are planning more time in the area, Lisa is happy to help with your planning or schedule more guided adventures. MAKE IT A FULL-ON EXPERIENCE of adventure, healing and exploration of contrast inside and out join us for both retreats! Join Lisa & Brenda in both Montana and Washington. Stay connected with each other and Brenda & Lisa via our monthly group conference call! 50% non-refundable deposit due at registration. For more information about the Montana Adventure contact, Brenda at 406-257-0008 or email brenda@horsesensehealing.com. For more information on our Washington Adventure contact, Lisa at 360-821-9297, or email lisa@empowermentthroughequus.com. Fun, adventure and fulfillment with the horses and a small group of amazing group of women! Brenda is a Montana woman and lifelong horsewoman. Throughout her Social Work career Brenda’s gift has been her ability to truly hear, honor, and engage others, many of whom have experienced multiple disempowering life challenges and trauma. 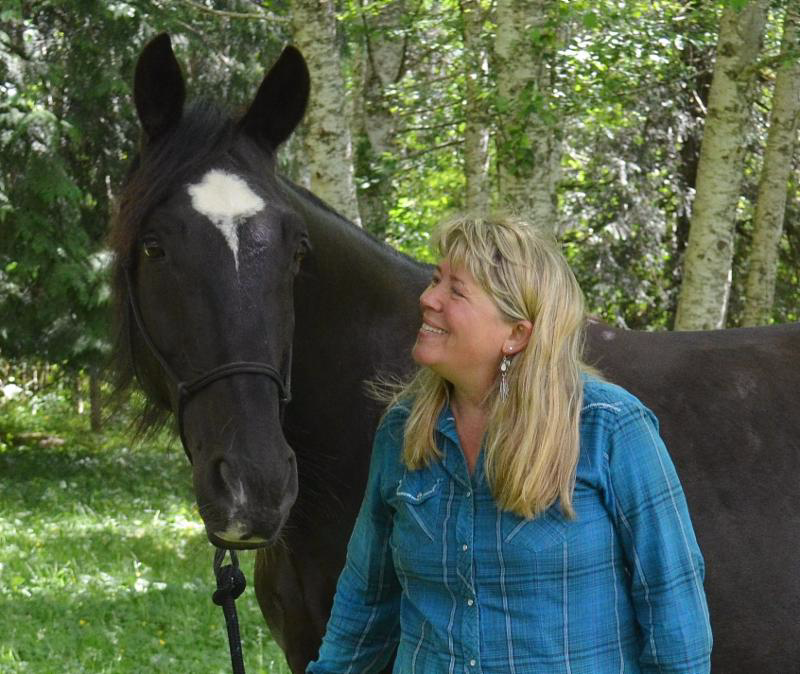 Today she is living her passion and dream of helping humans emotionally and spiritually by partnering with horses as an Equine Gestalt Coaching Method Practitioner. Brenda’s personal journey has been that of growing grit with grace through life struggles and transitions, and lessons of self-reliance, co-creation, and personal growth. Her mission today is to inspire others to expand into possibilities, to help others re-write old stories, and release limiting self-beliefs. Contact Brenda at 406-257-0008 or email brenda@horsesensehealing.com. Join Lisa, Brenda and the healing horses for an experience of a lifetime. We are looking forward to our adventure together! 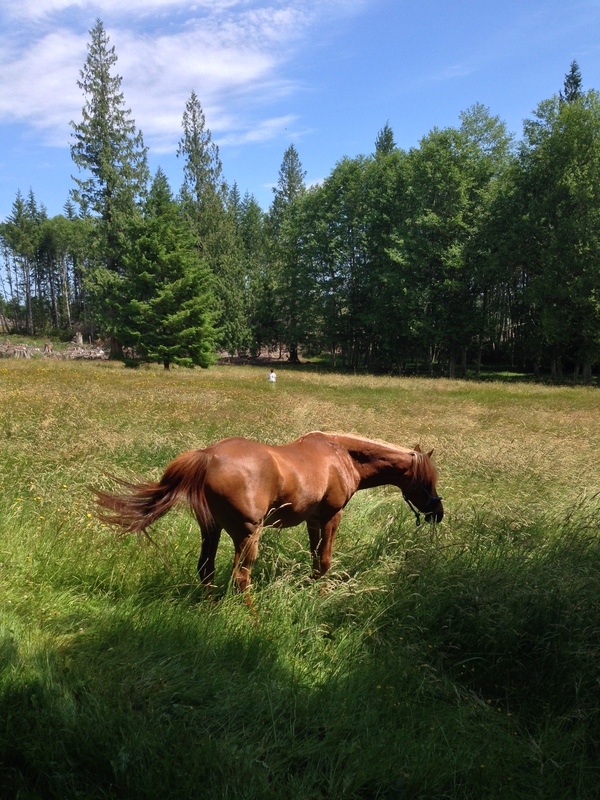 Together we will explore your inner and outer landscape while hiking, rafting, kayaking, rowing, trail riding and experiencing the transformational Equine Gestalt Coaching Method. quality time in nature, with the horses, and your group! saturday 2 pm to sunday noon. afternoon activities with the horses, dinner cooked over the fire, night hike and sleeping under the stars, or cedars. breakfast, more horse time and closing. actually horses will be nearby the whole time! more details to come! sign up now for an incredible experience! what else is possible?